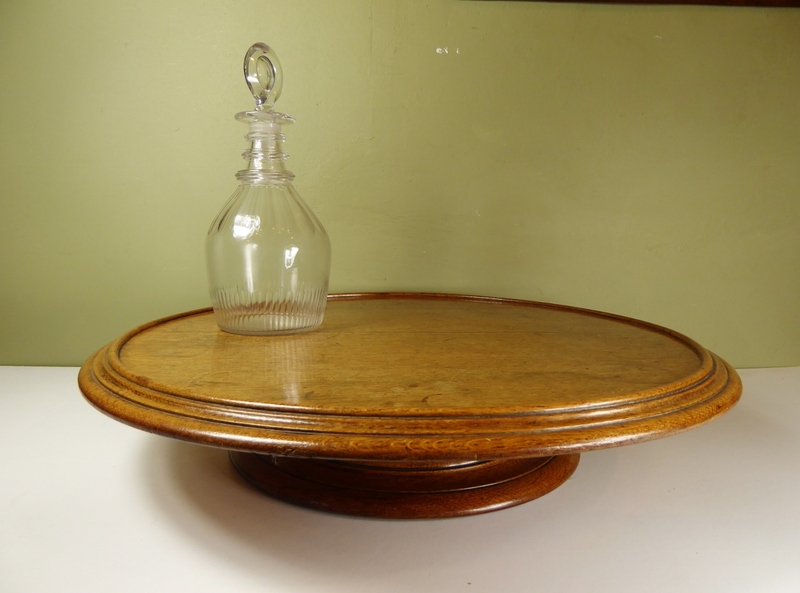 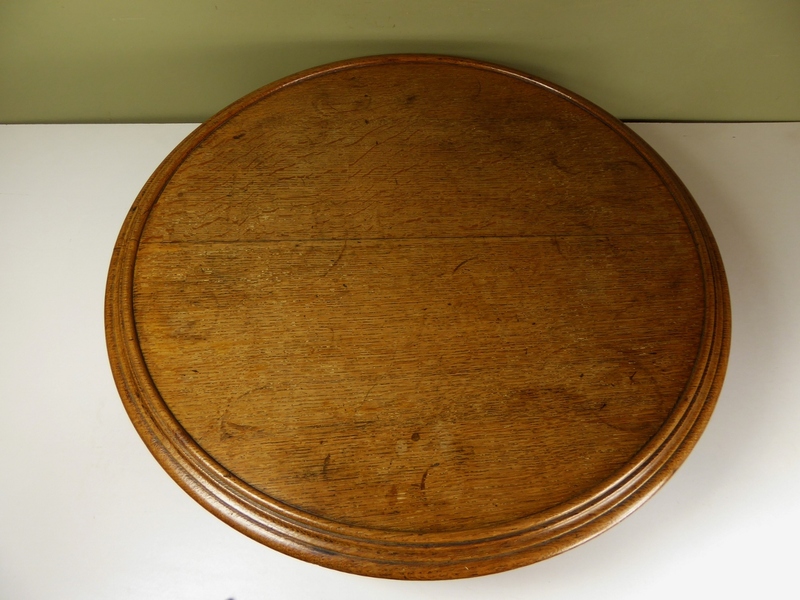 A 19th Century Oak Lazy Susan. The large top with a raised, and rounded rim, surrounding the flat centre. 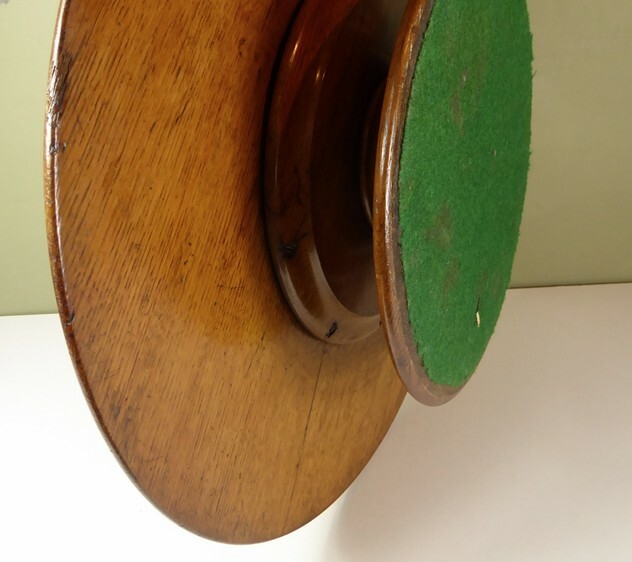 The top rotating on a circular base, the base spreading outward and downward in a series of ring turnings. 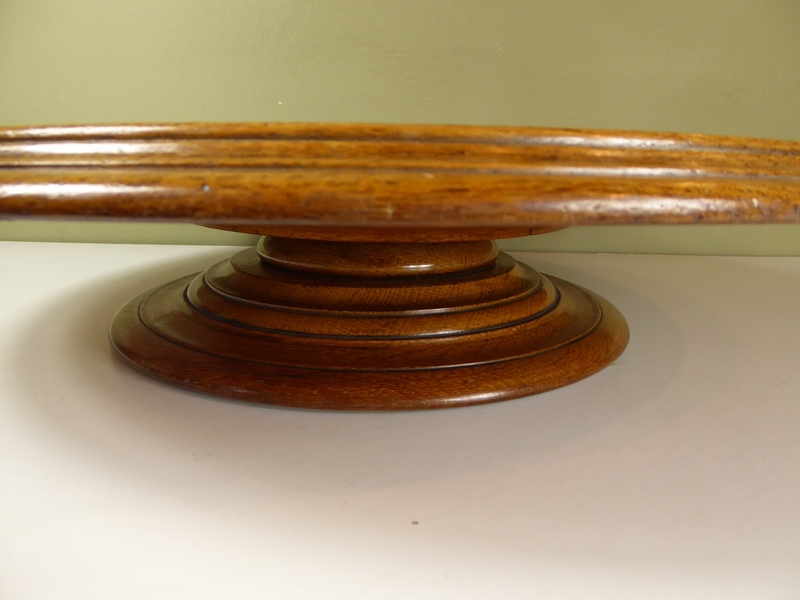 Height 4 1/2 inches, diameter 22 inches.